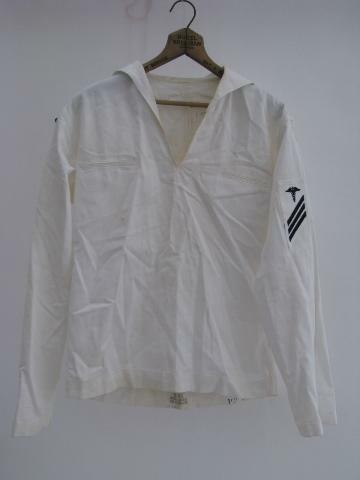 Old United States sailor's work whites jumper uniform with a caduceus medical patch on the arm. 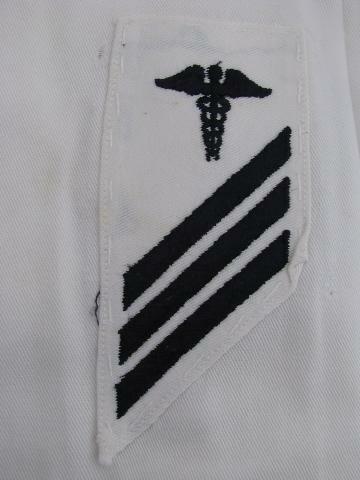 We've been told that the shoulder insignia patch on this uniform is for a Navy Hospital Corpsman. 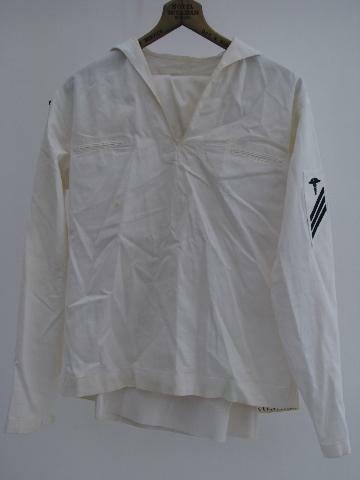 The right sleeve has a blue patch for the U.S.S Boxer. The USS Boxer was a Essex class aircraft carrier that was built and commissioned during World War Two. 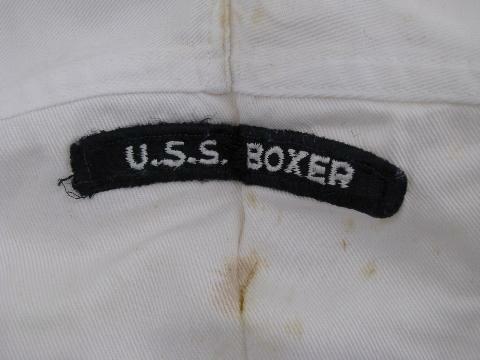 The Boxer didn't make it into action during the Second World War, but did serve in both the Korean and Vietnam wars (including a stint as a carrier for assault helicopters for the Marine Corps. She was decommissioned and sold for scrap in 1971. 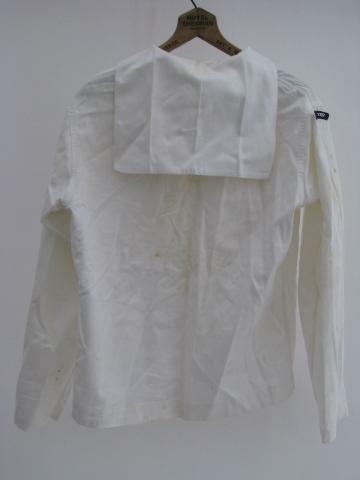 The jumper for this uniform measures about 21" long on the arm (from the armpit to the sleeve cuff), 42" around the chest (under the arms), 17" across the shoulders and 26" long from the base of the collar to the hem in the back. 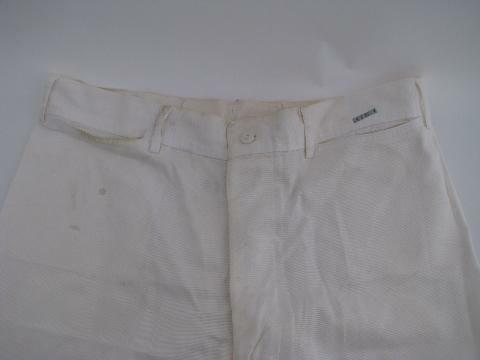 The uniform trousers measure 34" around the waist and 29" inseam. 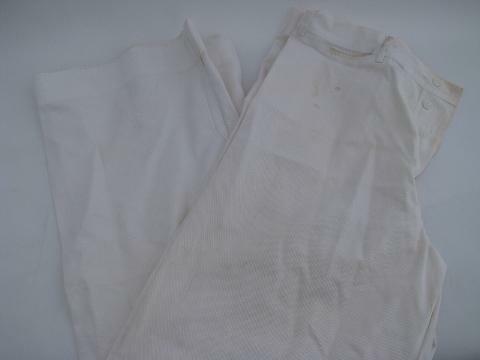 This white uniform has spotting and areas of discoloration.